Our audience will be experiencing an extraordinary event. Great entertainment lined up with delicious African dishes to bring you a little closer to the continent. At AfricStyle our events are authentic, modern and lively. Don't miss an opportunity to experience African culture in a unique way. Excited to see you soon. Register Now! 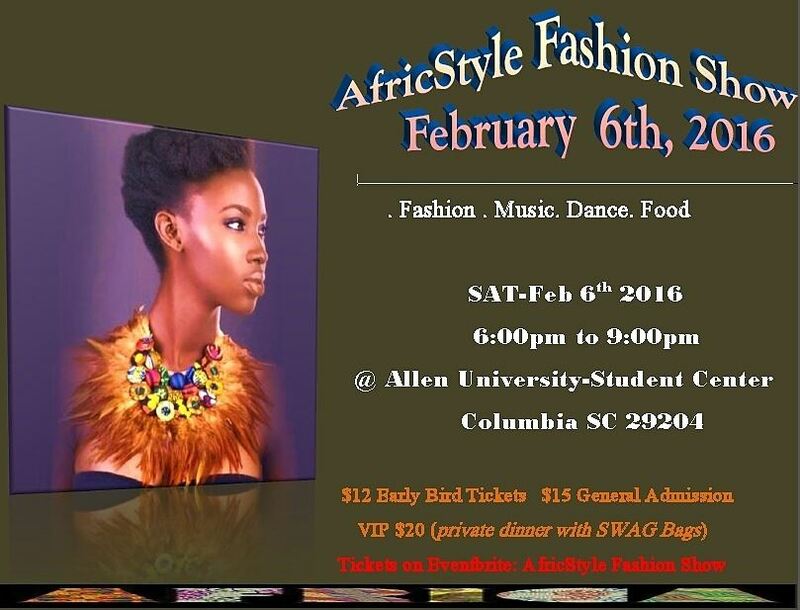 Fashion Show is all about showing the richness of the African Culture and its heritage in a diverse community. We are bringing together local vendors including, makeup artists, jewelry makers,African designers and natural product promoters (World Center). There will be guest appearances, local musicians, African dancers with lots of entertainment.